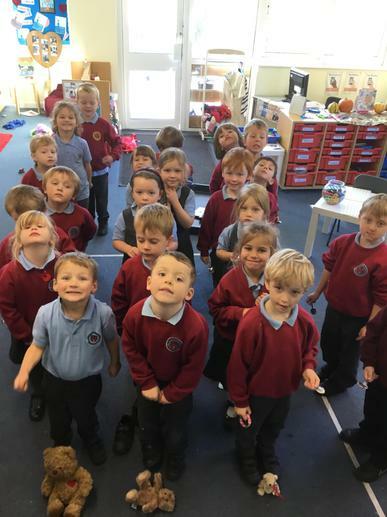 Robin Class have all settled in very well to the routines of school life. 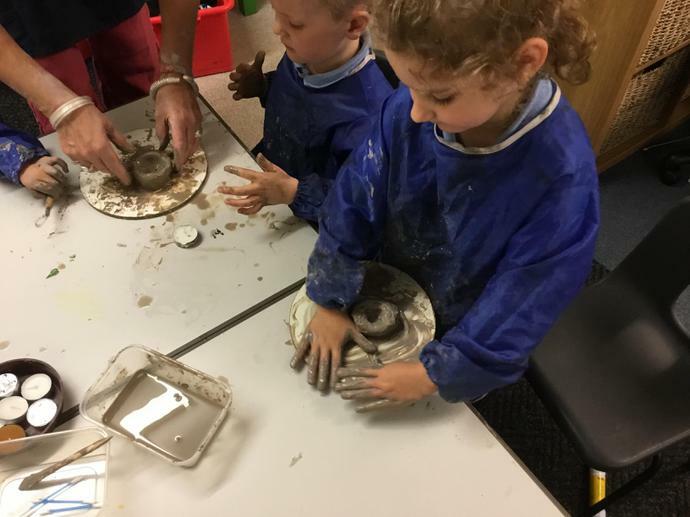 They are enjoying the active learning we create in Foundation Stage. 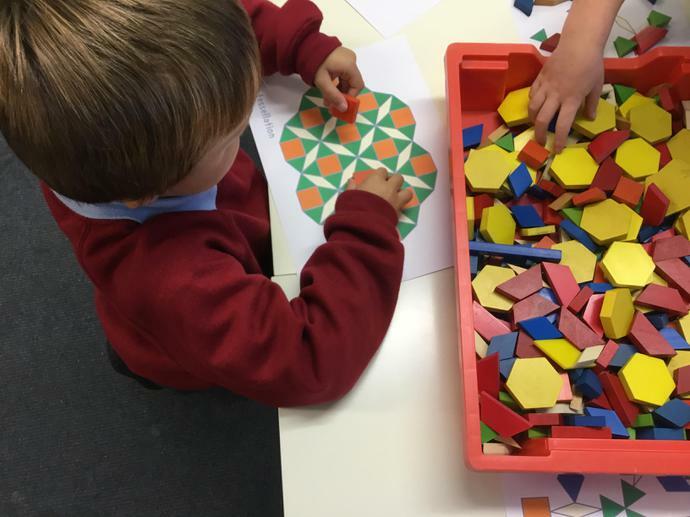 This Term we have been learning about Life on the Ocean Wave. 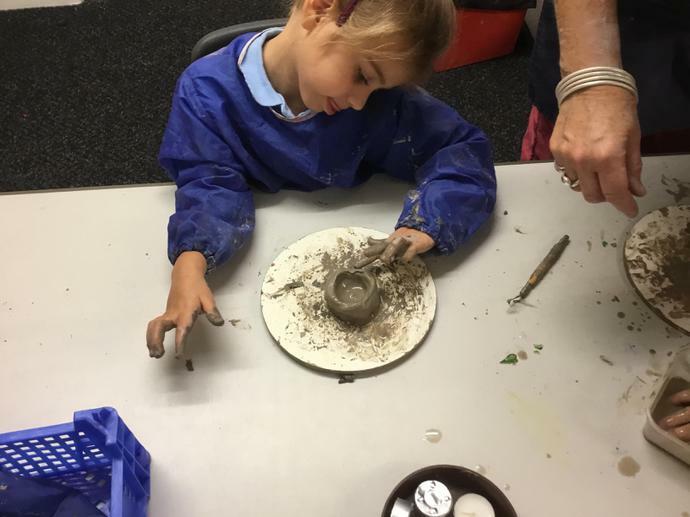 Next term we will be looking at Traditional Stories. 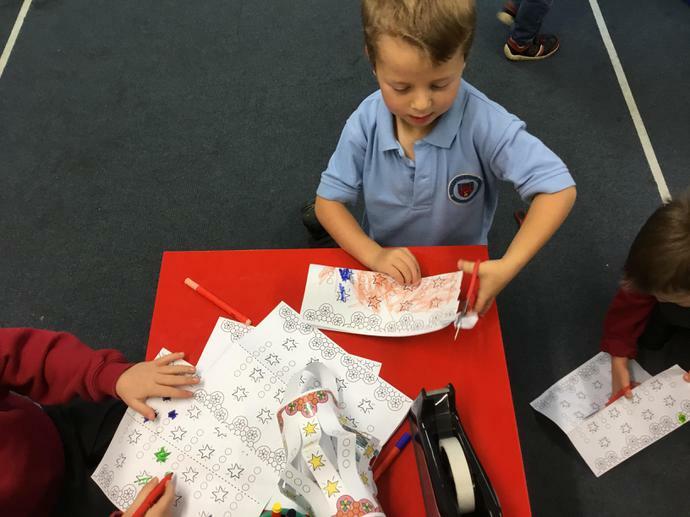 As part of our Anti bullying work in school and to support "All Different, All Equal" we shared the story of the "Talking crayon box" and talked about how we are all different but we are all equal and an important member of our Crew. Each of us coloured our own crayon to create our own display. 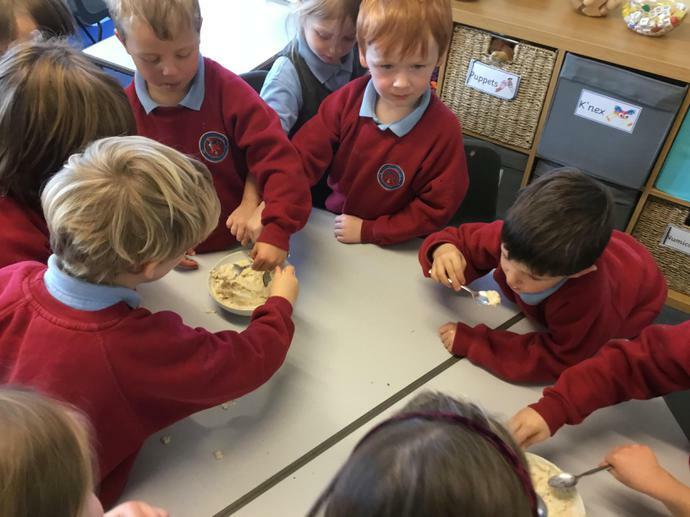 "We are a box of crayons, each one of us unique, but when we get together; the picture is complete" - Quote from "The Crayon Box that Talked"
As part of our learning about different traditional stories we enjoyed tasting Daddy bear, Mummy bear and Baby bear's porridge. 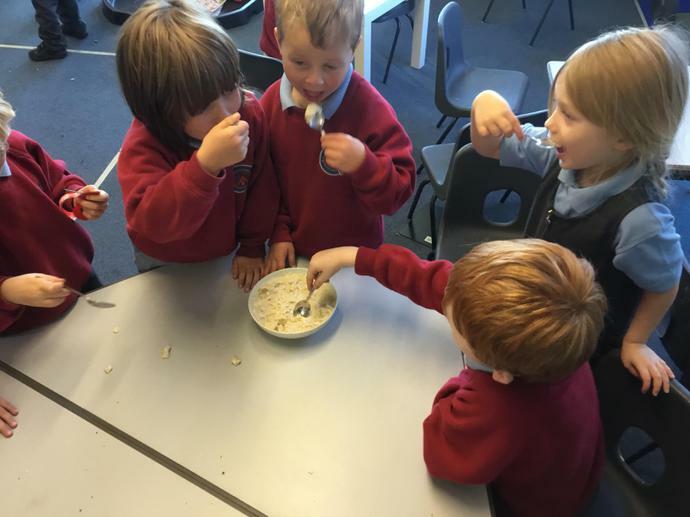 After tasting the porridge we decided we liked Daddy bear and Baby bear's porridge the most. 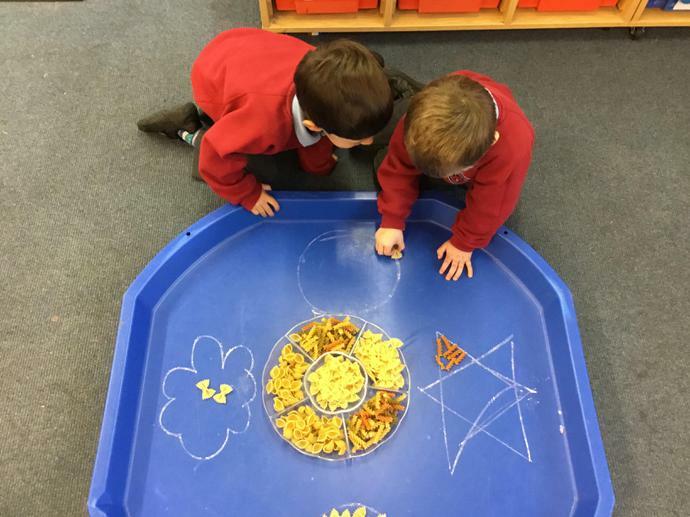 We have enjoyed learning about the Hindu festival of Diwali. 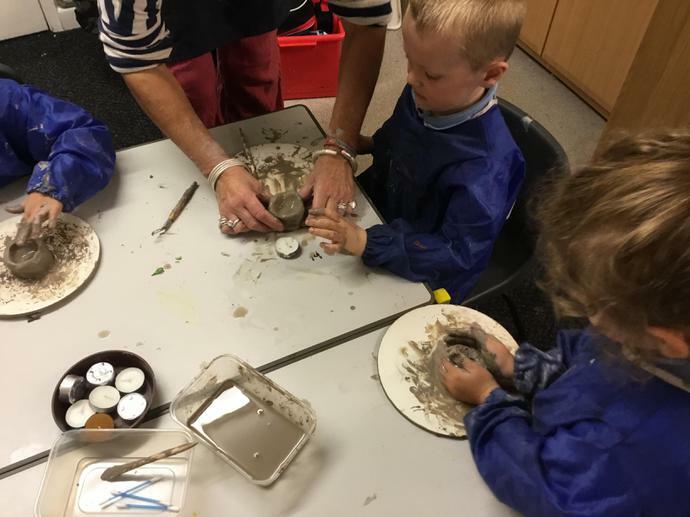 We shared the story of Rama and Sita, created our own Rangoli and Mehndi patterns and made our own Diva lamps using clay. 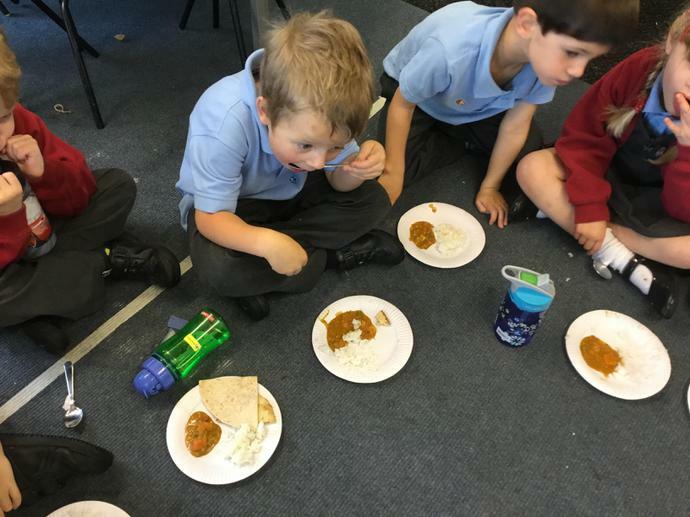 Our favourite part of the day was tasting Indian food. 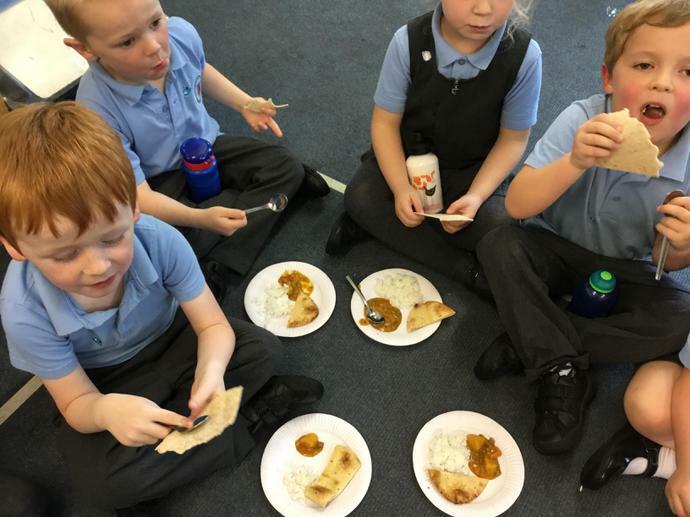 we had naan bread, Chapattis, rice and vegetable curry. We ate it all! 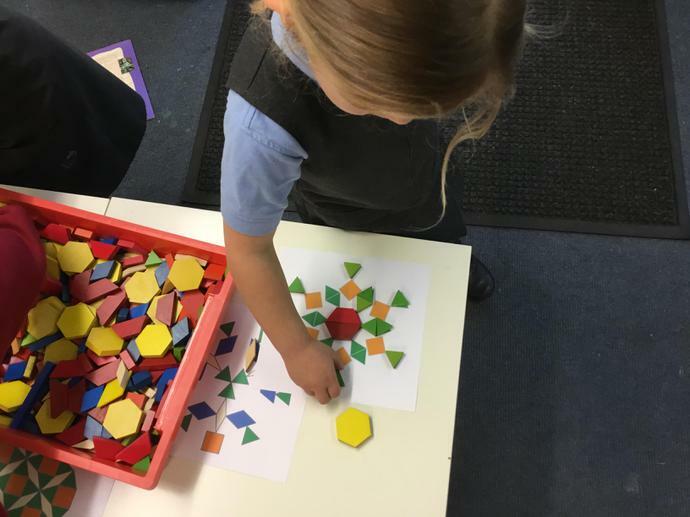 We talked about what type of learners we were being while learning about Diwali. Milo explained that he had been an "Exploring Elephant" because he had tried some new food today. 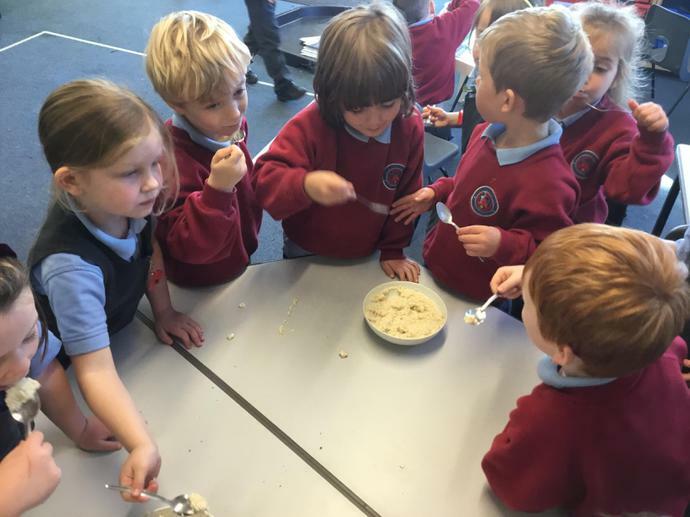 We were all "Go for it Gorilla's" in our learning today as we all tried some of the special Indian food. James was a "Proud Peacock" because he tried some new foods which he had never tried before. 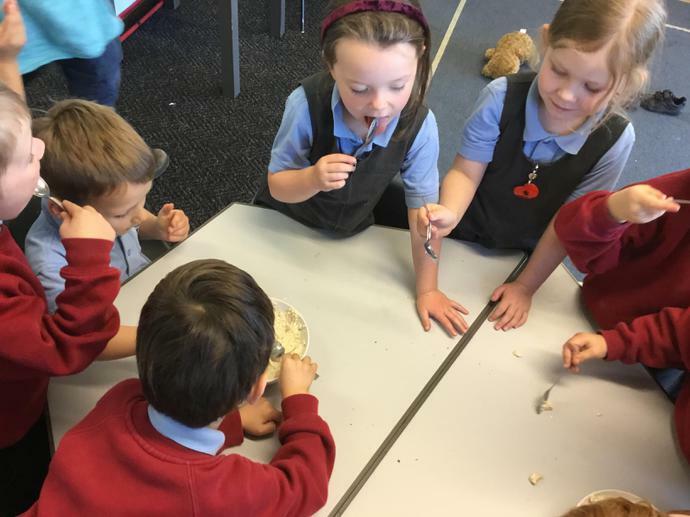 We have been learning about Harvest and made some bread.